One of my clients and my favorite easy breakfasts are overnight oats. The best part about this breakfast is the seemingly infinite possibilities of what you can do with them! When following my recipe, this ends up being a high protein way to get in an energy boosting breakfast in your hand and portable in case you are on the go! Let’s start with the base! Using a mason jar, measure out 4 oz of Greek Yogurt. I like to use Fage Greek Yogurt. Depending on your caloric needs, they offer 0%, 2% and 5% milk fat options. I use this yogurt because it is thick and creamy and only 5 grams of sugar whereas most other yogurts I have found are around a minimum of 12 grams per serving. It offers 20 grams of protein as well! I will then add my oats. 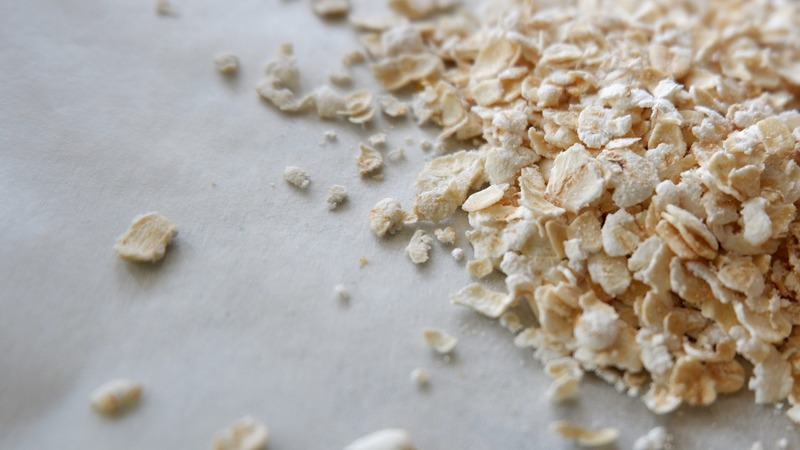 I like to use the Better Oats packets of Bare Raw Oats and Flax Seed. It is a good, clean, oatmeal with added flax and comes in a pouch that is perfect for on the go water measuring when making oats. 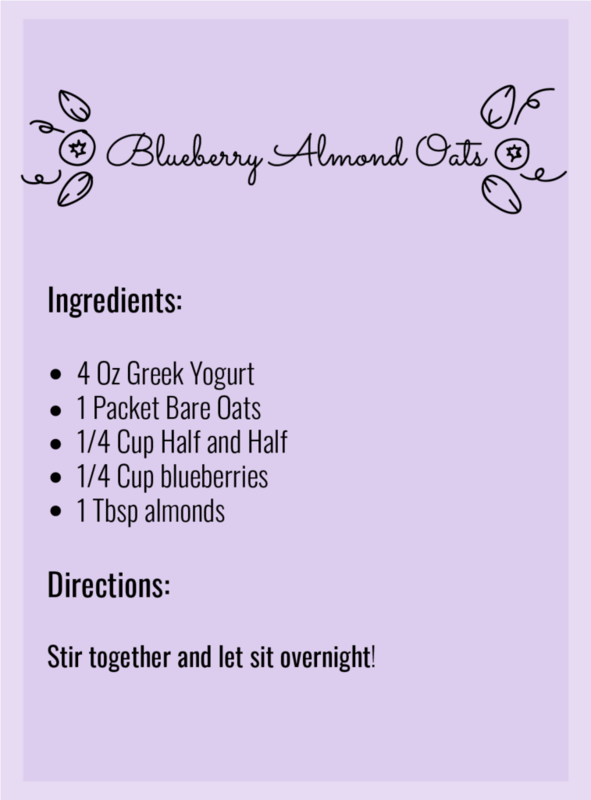 I will add one packet of oats to 1 cup of greek yogurt to start any overnight oats. Next, add your liquid. 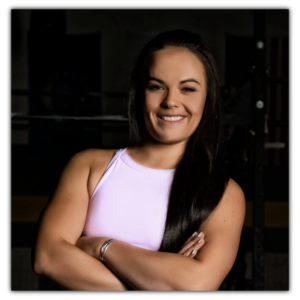 Trying to keep it low carb? Try heavy whipping cream, half and half or milk. Looking to try to keep it lower on the fat? Try using skim milk, or another low carb option. If you like overnight oats with some added energy, try adding coffee! Get creative with your liquids and ingredient combinations. I would suggest using about 1/4 – 1/3 cups to the oats and greek yogurt mixture. Finally, add your flavoring ingredients. 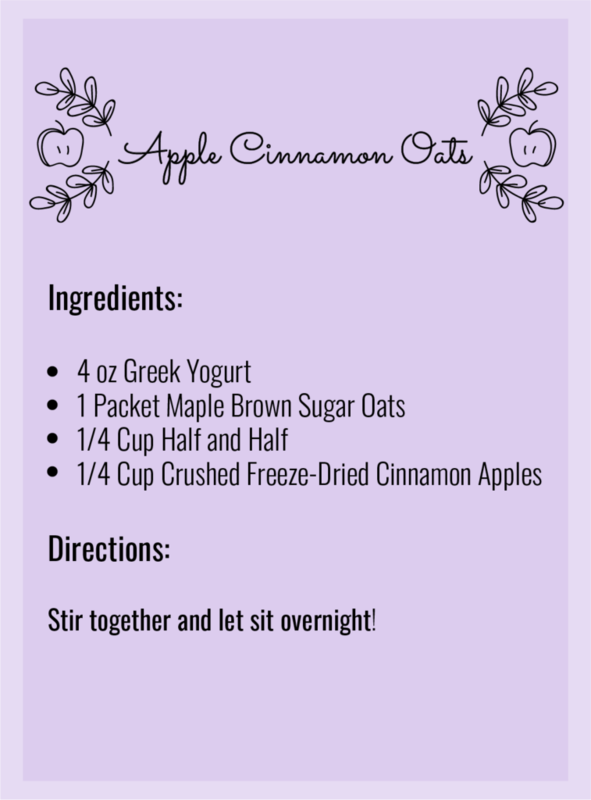 Try making some overnight oats with freeze-dried apples and cinnamon. 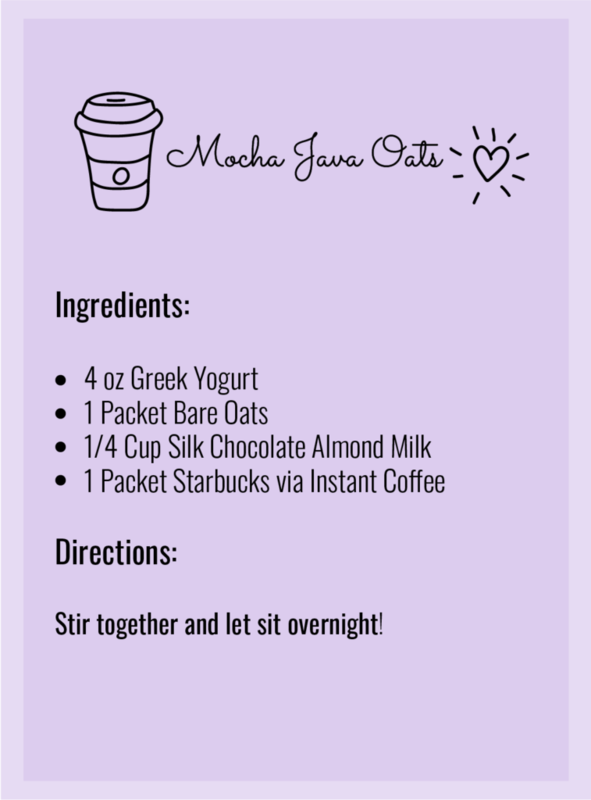 If you are looking for a little pick me up add a Starbucks via instant packet to a base with chocolate almond milk for mocha java overnight oats. I like to add blueberries and almonds, or strawberries and cream! After you have added all of your ingredients into your jar, make sure to stir or shake well and refrigerate overnight!